As I mentioned in our last post, we're going to be adding a Mac Mini Server to our iOS home. Our Mac Mini is going to have to do some heavy lifting - distributing music and HD video to AppleTVs throughout the house. We may need to buy the latest and greatest. But I'm also a huge proponent of buying used, last-generation Apple equipment. So let's take a look at how the Mac Mini has changed over the years, in terms of form and function. When it comes to Apple gear, there can be substantial cost savings in acquiring last-years model. The most obvious example is the iPhone. For years, it was possible to buy last-year's model for cheap, and a 2-year-old phone for free with contract. But it's tough for a gadget enthusiast to walk around with an old phone. It's out in the open. It's in your hand all the time. Most people upgrade their iPhones so often, we don't have them long enough for them to become "old". I've upgraded every 2 years since the iPhone 3G. That's a new phone every time they update the form factor, skipping every S generation. People don't upgrade their iPads as often, and they upgrade their computers even less often. Because the upgrade cycles are so much longer, the "old" version is still "acceptable" for several years after release. So it makes sense to buy the prior generation and save some cash. But how far back can we reasonably go? What is the difference between the various models? In the grand AAAD tradition of our History of the Airport Express and History of the Airport Extreme, let's examine the History of Mac Mini. What Constitutes a Mac Mini "Generation"? If only it were as simple as telling iPhones apart. Yes, Apple has changed up the Mac Mini form factor and primary features a couple of times - clearly demarcating between product generations. But it's not QUITE that clear-cut. At every stage, there have been multiple configurations of Mac Minis available. And Apple uses a LOT of different naming conventions for their various products. As with the Airport Extreme and Airport Express, Apple uses both "model numbers", which follow a simple AXXXX format and reflect large changes, and "marketing numbers", which are complicated format like MGEQ2XX/A, and reflect the precise spec level within a particular model generation. To muddy the waters a bit more, there's also a "model identifier", or "machine number", which really looks like it SHOULD demarcate various product generations... but which can only add to the confusion. As always, we're going to PRIMARILY stick with the "model numbers", which correspond roughly with product "generations". However, understand that within each of these model generations, there were (and are) multiple spec levels - different processors, RAM, and so on - and beyond that, additional customization is possible at the time of purchase and afterward. Got it? Good. Let's get started. The Mac Mini was introduced by Steve Jobs himself, at his Macworld Keynote on January 10, 2005. The hook was simple - it was 2005. You probably had a Windows PC. You also (probably) had an iPod.... And thanks to that iPod, you were starting to get more interested in Apple gear. So, you've got a Windows PC, you're using Apple's iTunes to manage your music, and your iPod to listen to it. In January 2005, Steve Jobs gave people a reason to upgrade their PC - and to move to Mac. The Mini was SMALL. You wouldn't have a huge PC tower next to your feet. The Mini was CHEAP. $500, and you were expected to keep using your existing monitor, mouse and keyboard. And the Mini was APPLE, which, by 2005, was just starting to mean something again. Mac Mini looked cool. It was a 6.5" square, 2 inches tall. The optical drive didn't have a tray - it directly sucked in and spat out your CDs or DVDs. Cool! The defining factor of the A1103 Mac Mini is its processor - a Motorola PowerPC G4, running at 1.25 or 1.42 GHz. In September 2005, the Mini got a moderate bump to 1.33 or 1.5 GHz. But the writing was on the wall for the A1103 - Apple was moving away from the PowerPC architecture. The First Generation lasted for all of 2005, and that was that. By 2006, Apple had moved from Motorola PowerPC processors to Intel Core processors across their entire Mac line. Same great look - Now with Intel Inside! 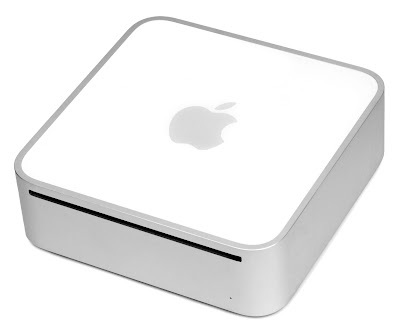 As a result, we got the Second Generation Mac Mini, Model A1176, in Feb 2006. On the outside, the A1176 looked exactly like the A1103. But underneath the hood, obviously, it was a completely different beast. The 2nd Gen Mac Mini (internal model identifier "Macmini1,1", because Apple likes to be confusing, with overlapping model numbers and identifiers) ran an Intel Core Solo processor at 1.5 GHz, or a Core Duo at 1.66. It had 512 MB of memory. Both the processor and the RAM could be upgraded pretty easily. In September 2006, the First Gen got a bump up to 1.66 GHz (Core Solo) / 1.83 (Core Duo). Almost a year later, in August of 2007, Apple released another spec bump - and called it the "Macmini2,1" on its internal machine number. So, arguably, the Mid 2007 Mac Mini could count as its own "Generation". Apple certainly considered it to be: It had a new internal model identifier! "2,1"! But.... it retained Model A1176. So what gives? I'm going to lump the Mid 2007 in with the other A1176 in the Second Gen. The Mid 2007 Mini had a lot more in common with its predecessors than what came later. Yes, the Mid 2007 Mini was faster. It ONLY came in Core 2 Duo configurations - leaving the Core Solo and Core Duo processors behind - and that's a major signfier of Gen 3 Mac Minis. All A1176 used an Intel GMA 950 integrated graphics chipset. All A1176 have the same 4 USB slots. All A1176 had a 667 MHz front-side bus. The 2007 Mac Mini A1176 was an incremental step forward, and a bit of a transitional model between generations. But it was too similar to its A1176 brethren to call it a true 3rd Gen Mac Mini. The Mac Mini was about to change. But it would take a while. The various versions of the A1176 were sold from February 2006, through the 1st quarter of 2009. That's more than three years! Finally, in March of 2009, the Mac Mini model A1283 was introduced. The 3rd Gen Mac Mini brought some pretty fundamental changes. The Core 2 Duo was standard, and started at 2.0 GHz. The front-side bus moved from 667 MHz to 1067 MHz. An Nvidia GeForce chip handled graphics. A 5th USB 2.0 port was added to the back. In October of 2009, a new "Server Model" of the Mac Mini was introduced, which scrapped the optical drive altogether, adding a second HD in its place. Who uses discs anymore? Something tells me we'll see more of this look. This turned out to be a harbinger for what was yet to come - not just for Mac Minis, but across the entire Mac line. The Mac Mini got a total overhaul in June of 2010. The "white top" enclosure, which had been a constant for half a decade, through the first 4 generations of Minis, was dumped. Instead, we got a Mac Mini that fit with the present-day Macintosh aesthetic - unibody aluminum, glossy black Apple logo. It was still a square - a bit shorter than the old Mini at 1.4 inches, but a bit larger at 7.7 inches square. Solid aluminum, and - in the defining characteristic of the 4th Generation Mac Mini - a laser cut slot for an optical disc drive. The 4th Gen Mac Mini (internal model Macmini4,1) was just phenomenal-looking. A solid piece of aluminum. And the "Server Model" with no optical drive looked even better. But at $999 (vs. $699 for the standard 4th gen), the value proposition was a bit dicey. $300 extra got you a second 500 GB hard drive instead of an optical drive. It also got you 4 GB of RAM, instead of 2 GB, and a 2.66 GHz processor instead of 2.4 GHz. Hmm. Seems expensive for such a small upgrade. Then again, OSX Server wasn't $19.99 back then. With the 5th Generation, Apple made an incredibly controversial move - they abandoned the optical disc drive entirely. They also dropped the price of the base model by $100, to $599. The Mini DisplayPort was gone, and replaced with Thunderbolt. The internal machine models were Macmini5,1 / Macmini5,2 and Macmini5,3 (server) for the three stock configurations - reflecting that this is a 5th Gen mini. While Apple still offered a "Server Model" - now with 2 hard drives and a quad-core i7 processor, there was no longer any external difference between the standard and server Minis. In fact, given that all three 5th Gen Minis could function as a server, it was getting a bit difficult to tell why a differentiated "Server Model" was necessary at all. By the time the 6th Gen Mini was unveiled on October 23, 2012, Apple was pretty well established in their design aesthetic. "Computers are small, they're carved from single pieces of aluminum, and they have black highlights." The 6th Gen Mini continued the basic across-the-board minor spec bumps that we'd seen from prior generation advancements - yes, we had a 2.5 GHz Core i5 processor, more memory (expandable up to 16 GB! ), and so on. Really, the primary departure for the base model (Macmini6,1) is that the 4 USB 2.0 ports were replaced with 4 USB 3.0 ports. The higher-end models got some pretty sweet upgrades, though. Both Macmini6,2 brought SSD to the table, with an optional 1 TB Fusion Drive. 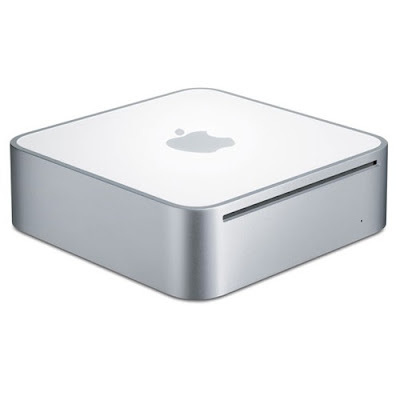 Macmini6,3 - the "server model" - could run with 2 1TB hard drives, or with 256 GB SSDs, or one of each. Both Macmini6,2 and 6,3 ran quad-core Core i7 processors. 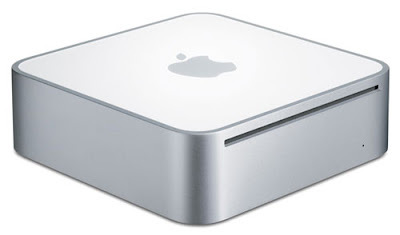 For a number of reasons, the quad-core 2012-era Mac Mini may be our AAAD system of choice. You made us wait a full 2 years for a Mac Mini upgrade, you bumped a few specs, and... you soldered the RAM to the motherboard for literally no reason. 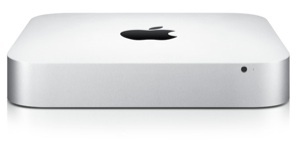 The 7th Gen Mac Mini was released on October 16, 2014. It's still the current generation, a year and a half later. Yes, they're keeping the same look. The 7th Gen lost its Firewire port, and added a second Thunderbolt port. It added wireless ac. Like the 6th gen, the Seventh Generation Mini comes in 3 base configurations - but they've stopped calling the Macmini7,3 the "server model". Newer Haswell processors... but no quad-cores in the Seventh Generation. In many ways, the 7th Gen simply isn't as good as the 6th Gen - especially on multi-core processing. The base model is back to $499 - making it the cheapest Mac Mini ever. People have been upset about this from the moment it was confirmed. Upgrading RAM is one of the easiest and most effective upgrades to any computer. I've upgraded the RAM in literally every computer I have ever owned. Even my iMac has an access panel for RAM upgrades. Upgrading RAM allows an aging computer to - at least temporarily - keep up with the demands of new software. It's as easy as plugging a cartridge into a videogame console. It's relatively cheap. And with the 7th Generation Mac Mini, you cannot upgrade your RAM after it leaves the factory. It's soldered into place. The only explanation for this ridiculous step is greed. Apple knows that, at some point, users will want to upgrade their system. And the only way to do so will be to buy a new Mac. The idea that Apple - a company founded by tinkerers like Steve Wozniak, a company that literally sold the Apple 1 as a kit to be assembled by the end user, would do something as cynical and inexplicable as soldering RAM to a motherboard is beyond comprehension. This is the opposite of what Apple stood for, and I believe, still stands for. Yes, Apple's mission is to make and sell the most beautiful and useful computing devices on the planet. But that mission has also, ALWAYS, been to encourage creativity and ingenuity. The Apple IIe had a great big panel you could remove to access the internal components. So did the Mac Mini, for years. It makes sense that we can't access the internals on an iPhone or an iPad. Those are compact, complicated consumer devices. Putting an access panel on an iPhone would compromise its form AND function. But the Mac Mini has a giant port on the bottom specifically for this function. It's designed to be upgraded. It's been 15 months since the 7th Gen Mac Mini hit the market. And honestly, it could do the job as our AAAD home server. I may buy a 7th-gen Mini used. For a number of reasons, I'd prefer to find a 6,2 or 6,3. I'll also keep watching the rumor sites - maybe we'll see an 8th Gen, and Apple will finally give us the best of all worlds. What I will NOT do, is purchase a current-gen Mac Mini from Apple. We can't support a product that would show such contempt for its purchasers. Just want to say I found this article very helpful after my mid-2010 died (had been repaired when brand new under warranty with a refurbished logic board) - will look for a 6g. This post comes up early in DDG search.